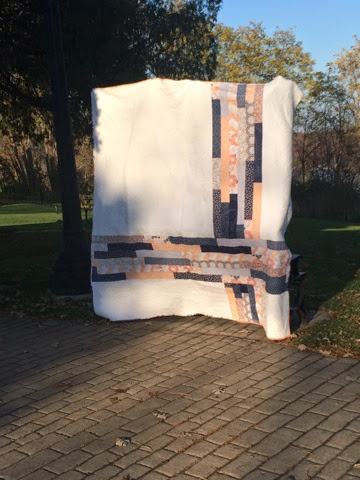 Well....the festival just added one more quilt to my to-do list! :) I LOVE this quilt of yours. I love the way you made it bigger. Pinning for later cuz I really do want to make it. Great job! I love the geese! I love the geese going in different directions. Beautiful finish! 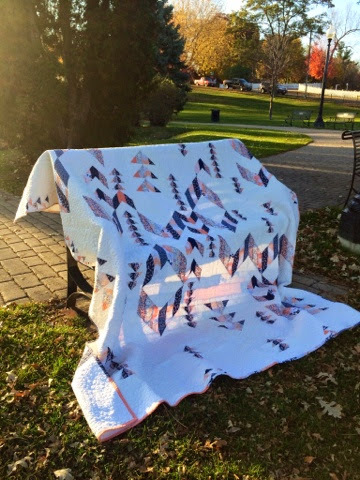 coming over from the blogger's quilt festival - love your quilt - its beautiful! This is an amazing quilt, so gorgeous. 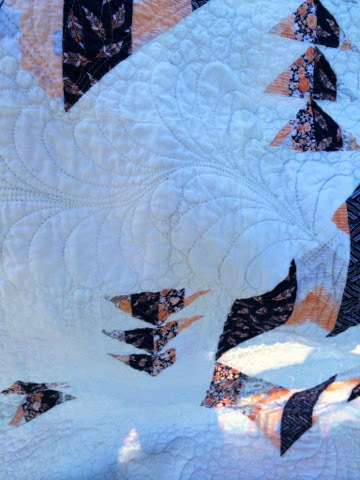 Is there a tutorial for the way you pieced the flying geese with the larger half triangles?